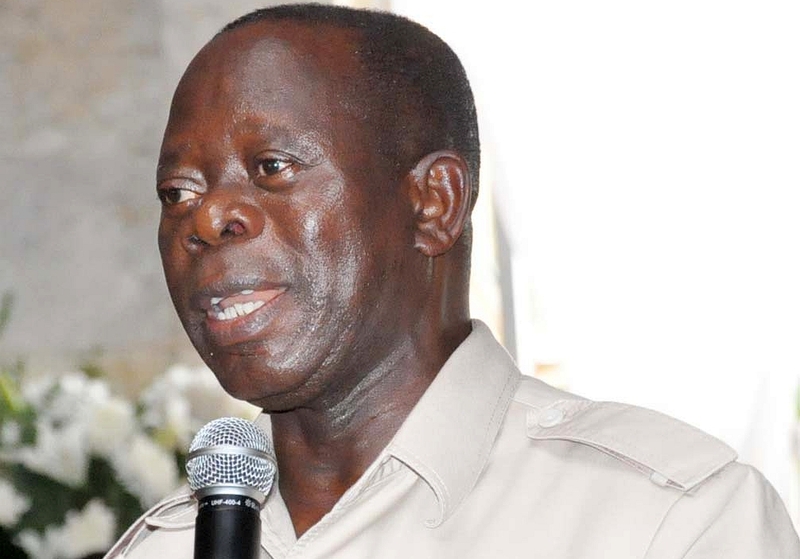 All Progressives Congress (APC) chairmanship aspirants and former govermor of Edo state, Comrade Adams Oshiomhole, has boasted that he has solid support based across the country to defeat the three other ‘heavyweights’ contesting against him at the party’s June 23 national convention. Other aspirants in the race with Comrade Oshiomhole included his predecessor Prof. Oserheimen Osunbor, former Cross River governor, Clement Ebri and Chief Ibrahim Emokpaire. Fielding questions from newsmen after commissioning his campaign office, in Abuja, on Sunday, Oshiomhole revealed that one-time Minority Leader House of Representatives, Hon. Faruk Adamu Aliyu, has graciously accepted to be his Campaign Director. Oshiomhole equally expressed confidence that many governors, National Assembly members and other party stakeholders will support his aspiration. “In a boxing match, you do not ask a featherweight to go into the ring with a heavyweight. It is going to be a very interesting convention. I think for all of us who believe in democracy, this is to be expected,” he said. Asked to comment on President Muhammadu Buhari’s declaration on June 12, Oshiomhole said:”I think we should salute the president for is statemanship. There are many things he has done over the past three years that are outstanding in terms of finding the political will and demonstrating statemanship. That his decision, which is a bold decision to acknowledge that June 12 cannot be wished away as a non-event, I think he deserves commendation across party divides because for those who voted, it was just a urge shock and pain that about 14 million people tat voted, the cancellation was like an April Fools Day. “So, for him to acknowledge Abiola in the manner that he did and confer on him posthumously an award meant for people who are president’s mean that he has settled the question. The only ting he would have wished to do which he cannot do was to bring Abiola back to life which is beyond human. “The second thing is the outstanding contribution of Chief Gani Faweinmi because a lot of Nigerians would ask you, what does it take to serve the people? For President Buhari to come out and honour Gani Fawehinmi, means there were many activists but Fawehinmi could easily be seen as the foremost among them. “Not only did every successive government sent him to prison not on account of fighting for his father’s parcel of land but on account of his stubborn insistence that government should deliver to the people,” he said. Meanwhile, chairman of the APC Convention Screening sub-Committee and Kastina state governor, Aminu Bello Masari, has revealed that no fewer than 179 members of the ruling party have obtained nomination forms to contest for various positions. Empty barrel. APC is about making the worse mistake by electing this unintelligent noise maker as its chairman. He will kill this dieing party.